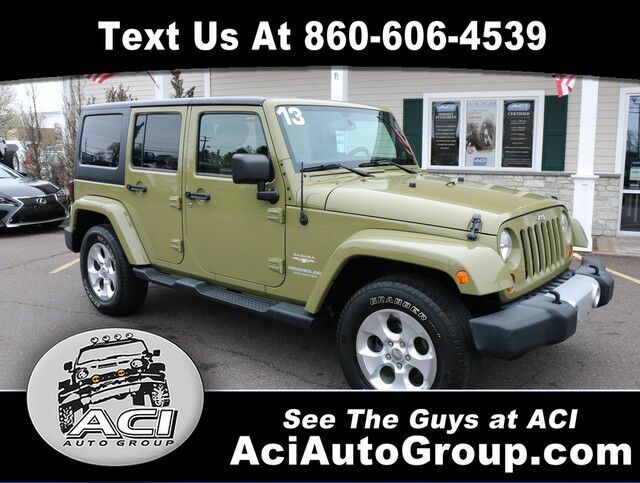 2013 Wrangler Unlimited Sport w/114k miles, 3.6L 6-cyl engine, automatic transmission, power windows/locks/mirrors, bluetooth, satellite radio, AM/FM CD player, aux port and more. Call, email or stop by for more information or to schedule a test drive. 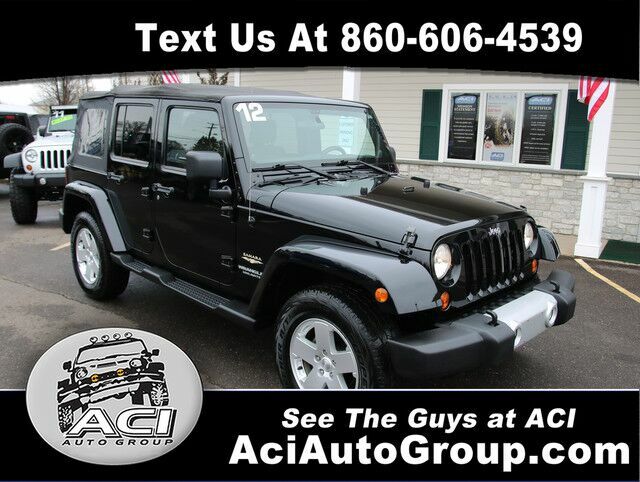 2012 Wrangler Unlimited Sport w/89k, 3.6L 6-cyl engine, automatic transmission, power windows/locks/mirrors, bluetooth, satellite radio, AM/FM CD player, aux port and more. Call, email or stop by today for more information or to arrange for a test drive. 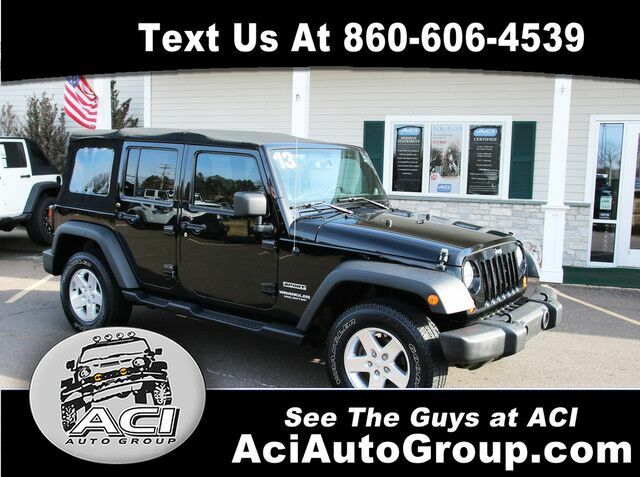 2011 Jeep Wrangler Rubicon w/99k miles. 3.8L V6 engine, automatic transmission, power windows, doors and locks, navigation and more. 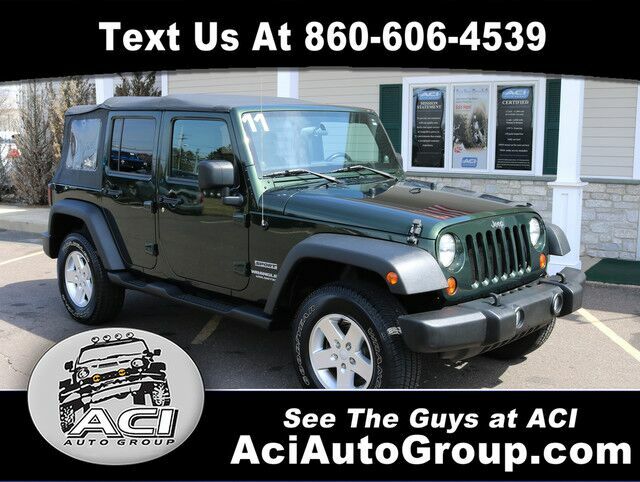 Call, email or stop by for more information or to arrange for a test drive. Please call ahead for availability. 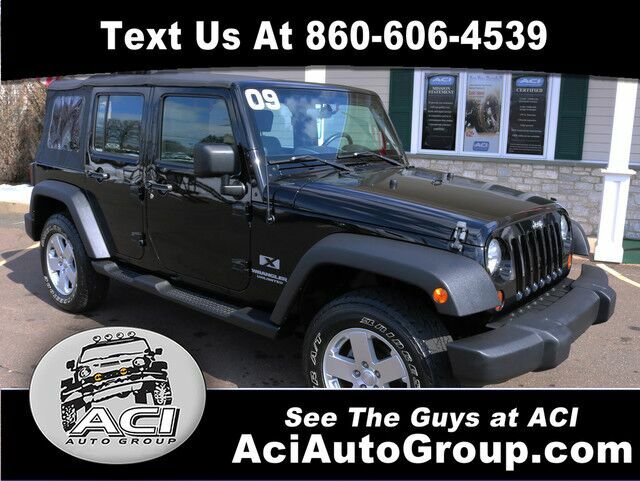 2011 Jeep Wrangler Unlimited Sahara w/93k. 3.8L V6 engine w/automatic transmission, power windows, locks and mirrors, heated seats, CD player w/satellite radio and aux port and more. 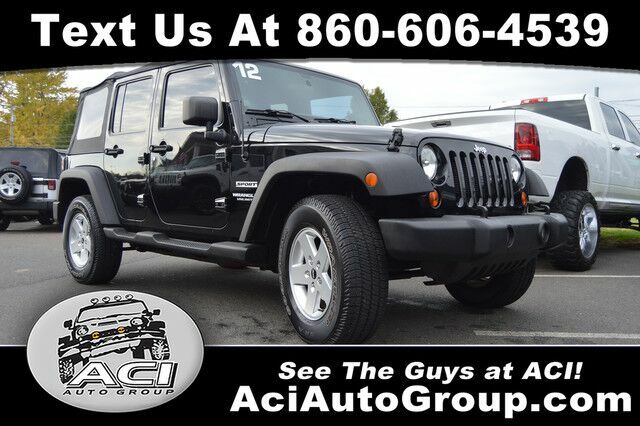 Call, email or stop by for more informatiion or to arrange for a test drive. 2013 JEEP WRANGLER SAHARA !! 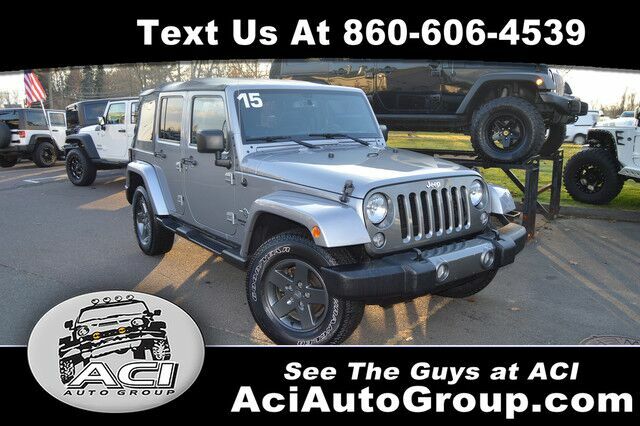 2014 Jeep Wrangler Unlimited Sport! 72k miles, 3.6L 6-cyl, 6-spd manual transmission, power windows, power locks, power mirrors and more. Call or email with any questions, or just top by for a test drive! 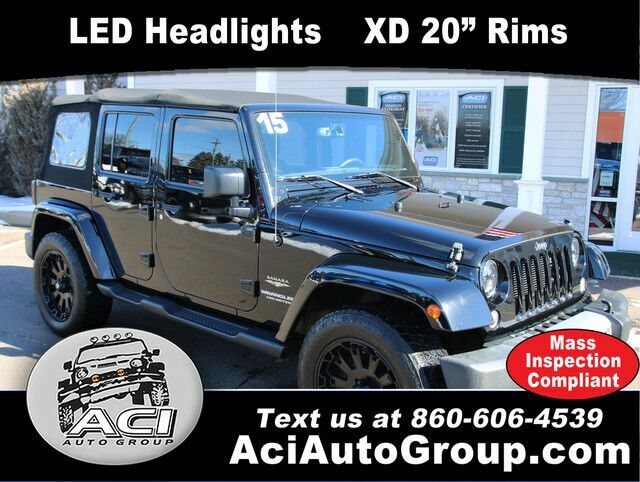 Don't miss this beautiful 2011 Jeep Wrangler Sahara in Billet Silver Metallic !! 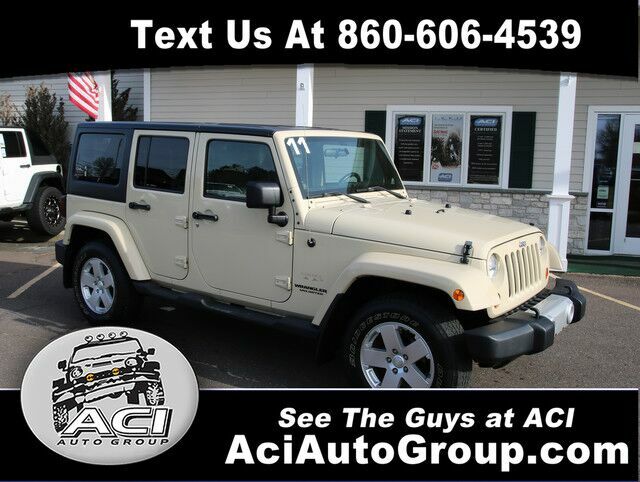 This four door model with a Sahara package has all the options you'll need and has been service in our shop. Stop in, call or text us today. 2012 Jeep Wrangler Sahara. 3.6 liter V/6, automatic transmission, power windows, power locks, power mirrors, tilt wheel, cruise control, fog lights, running boards and heated leather seats. Give us a call or email with any of your questions or to check availability. BRAND NEW 33" NITTO TIRES ON BRAND NEW 20"XD RIMS and LED headlights !! 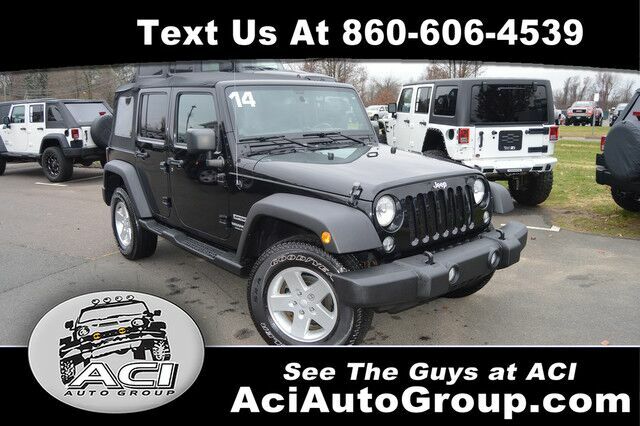 Don't miss this BEAUTIFUL 2015 Wrangler Unlimited Sahara with lots of upgrades already done. Options include NAVIGATION, LEATHER, HEATED SEATS, AUTOMATIC. 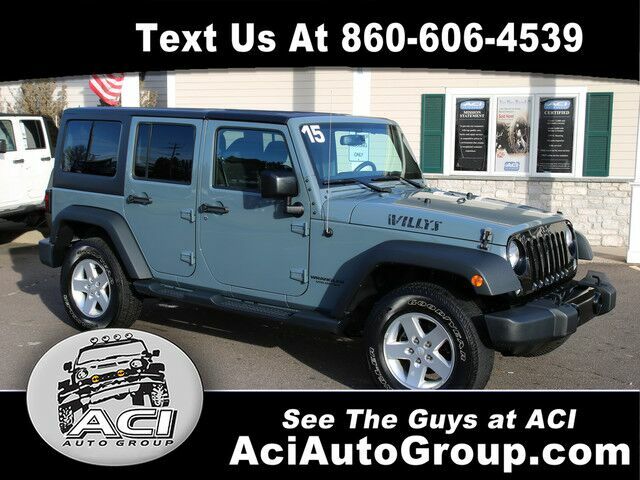 2015 Jeep Wrangler Sport Willys Wheeler w/only 43k! 3.6L V6 engine, automatic transmission, auto-dim mirror, bluetooth, power windows, locks and mirrors, satellite radio and more. Call, email or stop by for more information or to schedule a test drive. Please check for availability. Thank you for visiting another one of ACI Auto Group's exclusive listings! 2015 Jeep Wrangler Unlimited Sahara! Limited edition Oscar Mike w/58k miles, loaded w/leather, heated seats, power windows, power locks, power mirrors, Uconnect touchscreen radio w/navigation and bluetooth. Call or email with any questions or just stop by for a test drive!